The area is very quiet - the traffic is convenient and we have 4 bikes you can use for free about 2 km to Night Bazaar and 1 km to tennis. This lovely 2 bedroom unit is in a Boutique Condominium in the south of the city. 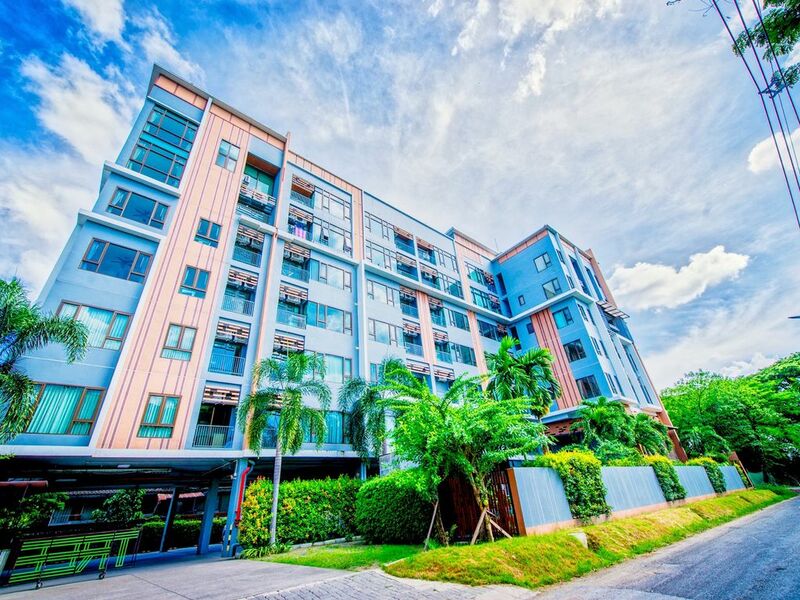 Those frequently travelling into and out of Chiang Mai will appreciate the fact that this Boutique Condo is located just a few minutes away from the International Airport. This location also makes it a very easy drive into the city center and there are also many shopping mall within just a few minutes’ drive of the project. There are also several modern hospitals close to the development. Modern European style kitchen, flat screen Tv's, luxurious bathroom and a lovely living room area. Just 2 minute walk away from all the shops and restaurants frequented by the tourists. The building also has a large pool with also features a beautiful waterfall. children’s playground area, fitness center and a Bbq area, shops, car park and 24 hour security with key card access. Adsl high speed internet, Tv, Cable Channels, Air Conditioning, Safe, Seating Area, Sofa, Wardrobe / Closet, Shower, Toilet, Bathroom, Refrigerator, Microwave, Electric kettle, Kitchenware, Dining table, Towels, Linen, Hand Soap, Shampoo, Shower cream and you can order cleaning service. Very close to the beautiful Chiang Mai city with many restaurants and shopping. Even though the center of Chiang Mai´s nightlife is only few km away and you can easy take a taxi for only 50 baht. The air is better!! Less traffic. 4. Western kitchen with cooker and extractor fan.